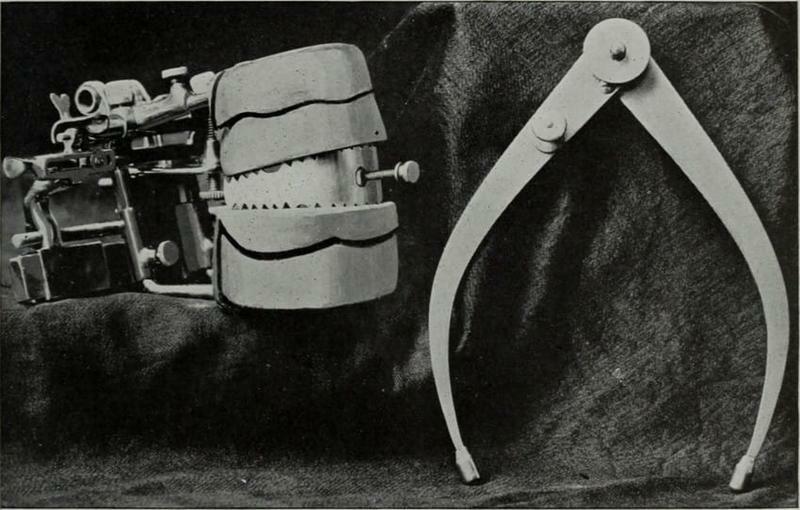 The following are among the ghastly tools used for dentistry purposes throughout history. 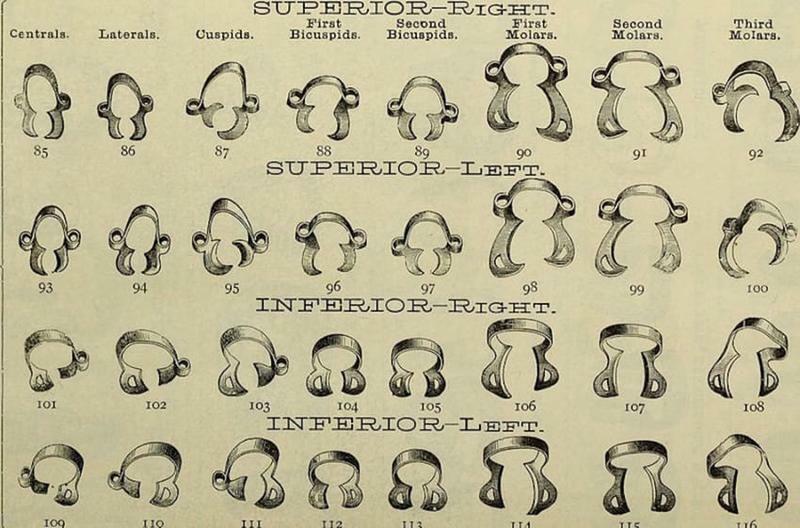 In the 1890s, these were apparently adjustable to fit on several teeth at a time so that a dentist could perform whatever process was necessary. 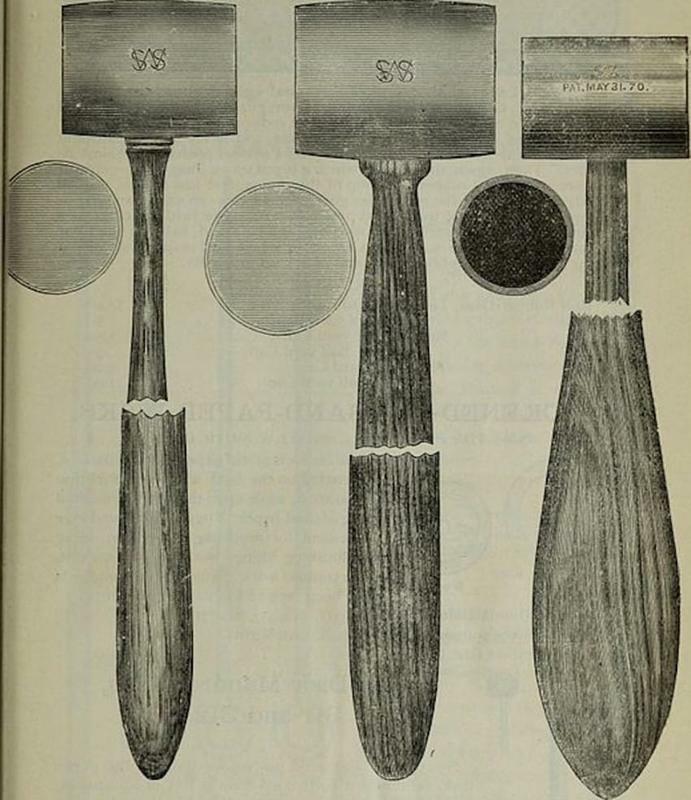 I am pretty sure that if I ever saw a mallet — no matter how big or small it might be — in my dentist’s hand, I would start running toward the exit immediately. 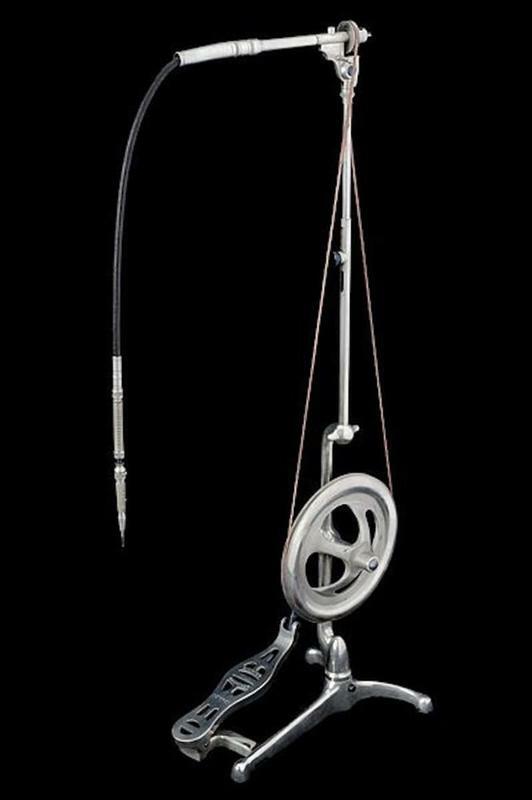 You’d have to be very confident in your doc’s foot, hand, and eye coordination while operating on cavities with this in the early 1900s. 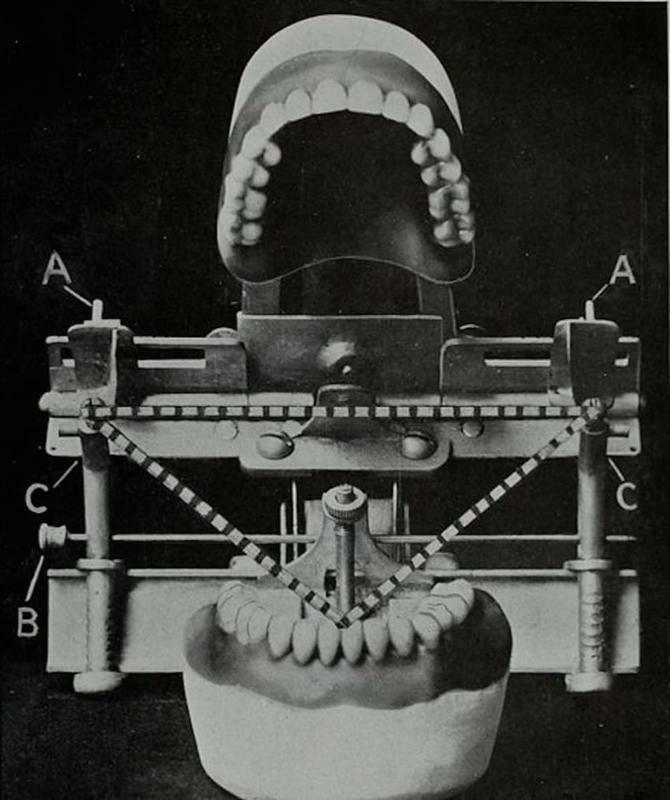 Imagine your dentist asking you to bite down on this large, jagged metal device in order to measure the strength of your bite… yikes. 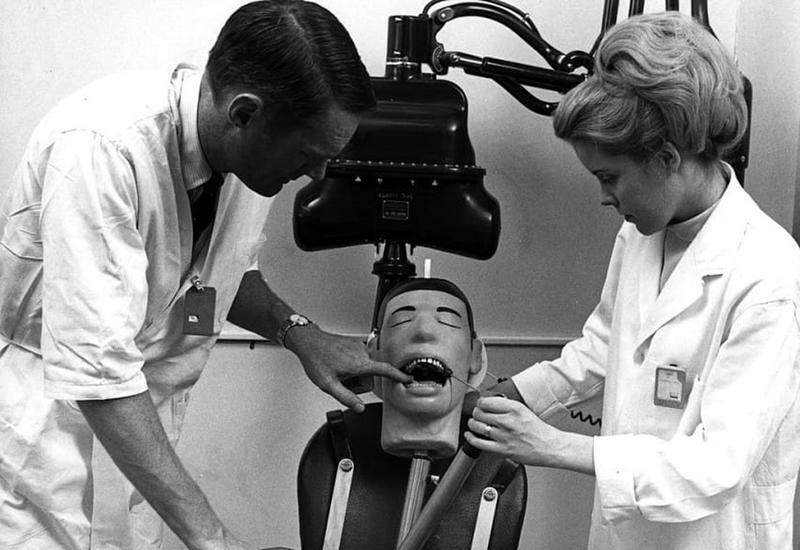 Another measuring tool which, to their credit, dentists of the past acknowledge could not be used quite this effectively on live patients — using the earlobes as a guide on either side of the triangle instead — but it’s still quite a mouthful. 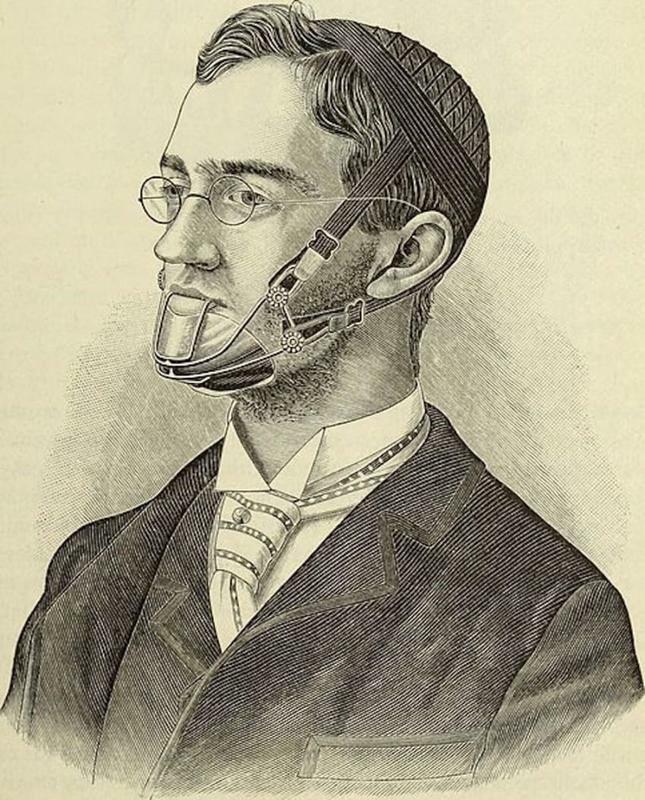 Used in 1891, this interdental splint was intended to keep the upper jaw and cheekbones aligned while healing from broken facial bones. 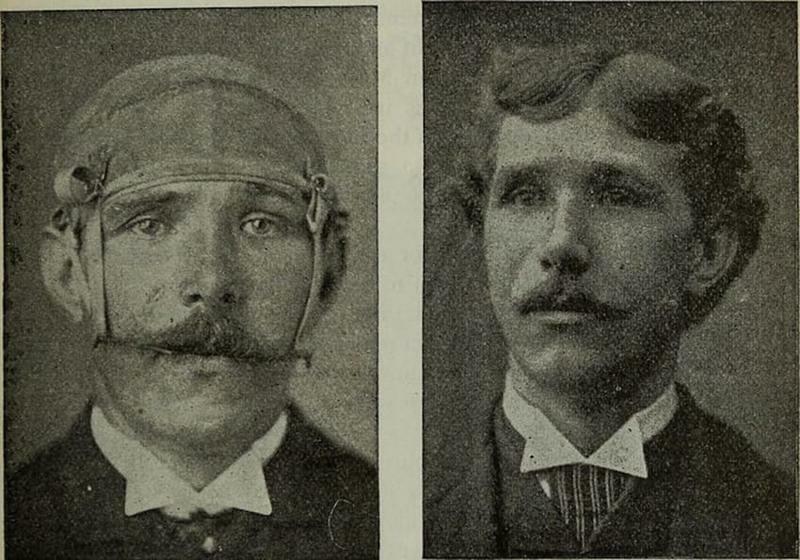 These fake heads are spooky enough on their own and still used in training today, but why did they have to give them a creepy name on top of it? 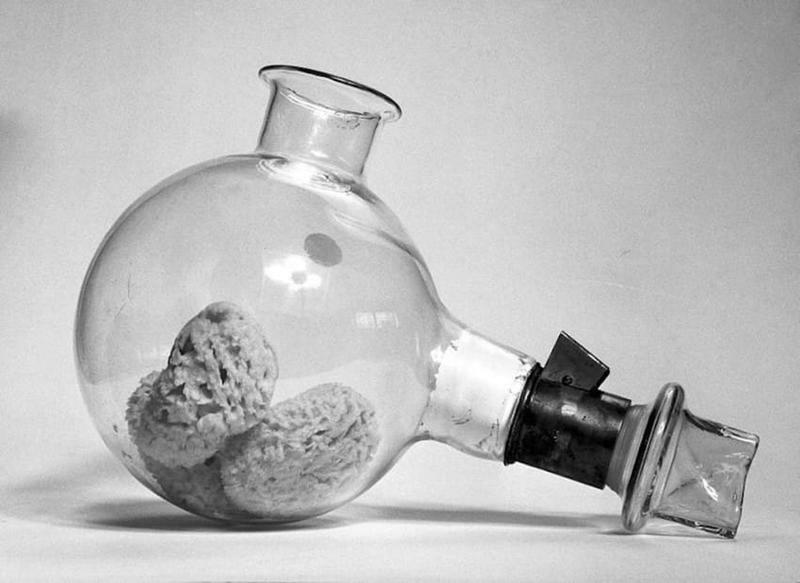 Knockout gas has come a long way since patients were instructed to inhale these noxious ether-infused sponges from dubious glass pipes. 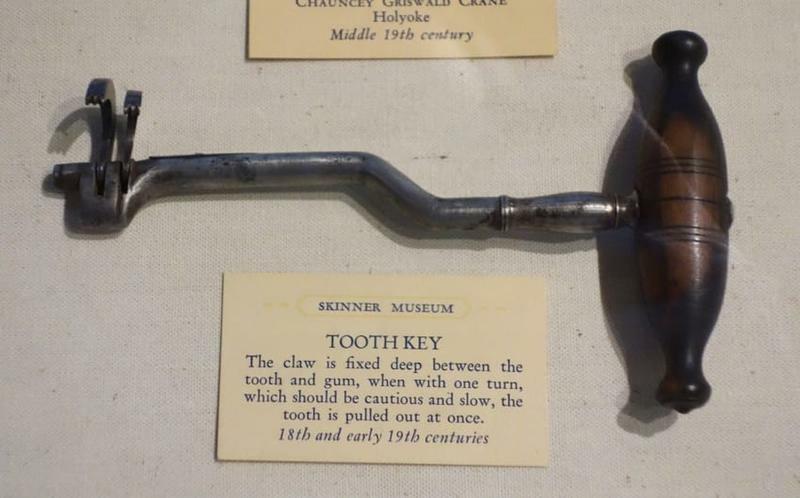 Just reading the description on the card made each and every one of my teeth feel pangs of terror. 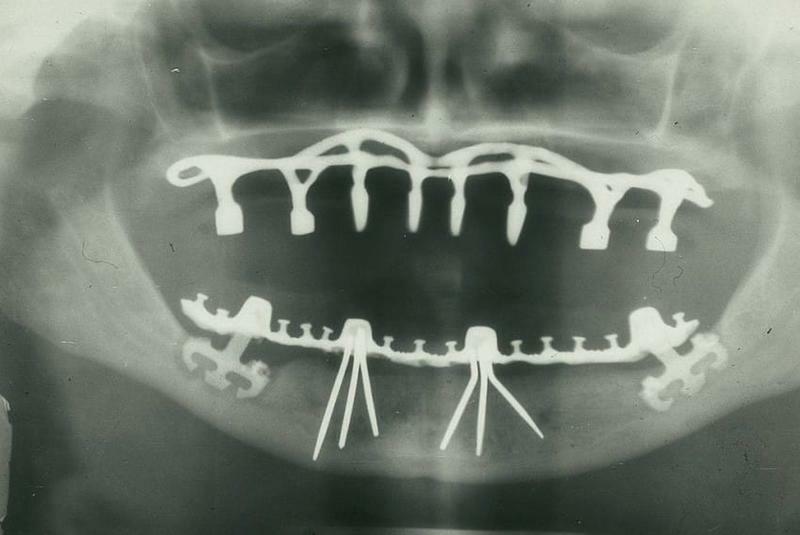 While implants are, of course, still done routinely today, they have certainly become less monstrous when viewed through an X-ray. I would hate to be the person healing from this particular surgery from the 1970s.